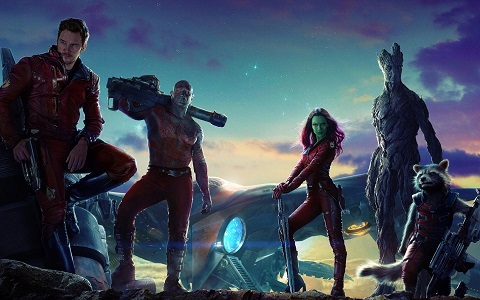 “Guardians of the Galaxy” – Chaos, “Human” Nature, and the “Good Guys” | J.W. Wartick -"Always Have a Reason"
“Guardians of the Galaxy” has been a smash hit at the box office, and it has also received critical acclaim. It’s been branded as a happy-go-lucky film. That said, every story has a worldview. What might we find in “Guardians”? Here, we will analyze the movie from a Christian worldview perspective. There will be SPOILERS in what follows. Chaotic is a great word to describe the “Guardians.” Each has personality quirks which make them uniquely set up, it seems, to conflict. The fact that this ragtag band of people manages to save the galaxy (or at least a planet) is part of the fun of the film. The characters’ personalities, however, seemingly also reveal much about “human,” or at least “personal” nature. Each has a background which haunts them individually, whether it be Starlord’s lost childhood or Rocket’s internal struggle to define himself, they each have difficulties. It is this which makes the characters seem more relatable than they otherwise may have been. It is easy to feel separated from the world of the superheroes due to their general portrayal as otherworldly powers with little connection to Earth other than finding it as a place for their conflicts. In “Guardians,” it is almost the reverse: the characters are grounded in realistic pasts and limited in their power (each overshadowed by Groot’s power, but simplistic mind), but their battle takes place out in the Galaxy, away from home. By subtly shifting the perspective and powers of the heroes, the filmmakers reverse the paradigm of superhero flicks and are able to put together this story of a motley crew just barely managing to succeed. I think this tells us something about ourselves as well: we relate better to characters with flaws. Our lives as humans have given us complex pasts with parts we often regret. The question, then, is where we may find redemption? How might we make sense of our lives in the broader scheme of things? There is a lot of gray area when it comes to evil in “Guardians.” The characters themselves are involved in shady schemes, which leads one to wonder who the “good guys” are. That question, though, is one which brings us around full circle to the question of human nature. From a Christian perspective, there are none who are without fault, and salvation history in the Bible reflects God using imperfect people like Samson (womanizer) and Paul (persecutor of the church) to bring about redemption. Similarly, the characters in “Guardians” are each flawed, but they work together to defeat great evil. Thrown together in the chaos of a universe with much evil, they make their own way. In “Guardians,” evil happens to be defeated almost by luck, but in reality, such things are not mere happenstance. There is a real sense of “rebirth” throughout the film. Each character undergoes a transformation from a life of relative lax to one in which, at the end, they seek to defend the galaxy, even if that means breaking a few rules along the way. Groot, of course, undergoes the most literal rebirth as he is fragmented (to death?) in order to protect the other Guardians, only to then be reborn as a single stick. Starlord’s own rebirth is more subtle, as he goes from a ne’er-do-well rogue to trying to actually lead a ragtag band of people to defend the galaxy. “Guardians of the Galaxy” is a distinctly unconventional superhero flick, as it stars a group of people who can hardly be classified among the “good guys” who just so happen to defeat the worst evil in the galaxy. Despite, or perhaps because of, this, they band together and triumph in a good (?) vs. evil story. It is similar, as I noted, to the notion in the Bible that we are a community of sinner saints and people who have questionable paths may still be used for great good by God. There is more we could discuss from “Guardians of the Galaxy,” so please do join the discussion in the comments below. Guardians of the Galaxy– Check out Anthony Weber’s take on the movie, which is always worth reading. Be sure to follow his blog, as it is one of the best in the business. Good review, I enjoyed the film, music was also rockin!